If your building has a rooftop terrace, throw a party and take advantage of the views. After another long Canadian winter the weather is finally warming up. Whether it’s your first summer in your home or you’ve been there for a while, sometimes a simple change can make it feel new and exciting, especially as the seasons change. Here are a few ideas to inspire you and help you enjoy your condo this summer. Plan a party: Has the idea of a party been on the back burner and you just never got to it? Now is the time to act since there is no better time for a party than the summer. Everything is easier and far less demanding. No coats, no boots, no scarves or gloves to worry about; no last-minute cancellations due to a snow storm. Nights are longer, the weather is pleasant and guests are just more enthusiastic about attending. And if your building has a rooftop terrace you can take advantage of, so much the better. Make a new recipe: Most things seem better in summer and this includes food options. Pop-up farmers’ stalls are just steps from many urban condos. Get to know the farmers who own these stalls and find out what produce they are most proud of this week. Why not try making a new recipe — something that may eventually become your signature dish? Summer is the best time to experiment with new recipes and fresh produce. Have some fun by trying a new recipe each week. Don’t just watch Top Chef Canada — become one. Buy flowers: Get lots and lots of them; they can perk up your attitude in a second. Flowers are more affordable in summer so buy two or three bunches, not just one. See how great you feel next time you come home. Change the water often to keep things smelling fresh and use a preservative to make them last. Twinkle, twinkle: I personally love twinkle lights; they make any space exciting. During summer, miniature white lights are ultraromantic, mood altering and just fantastic. Have some fun and experiment with twinkle lights. Wrap them, twine them, hang them or ball them — even the name is fun. 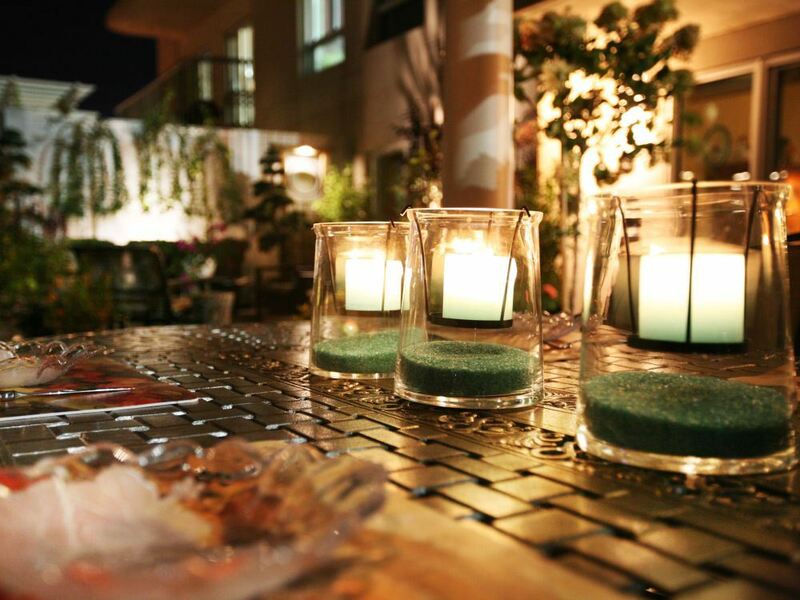 Spa night: Organize a spa night by inviting a few friends or neighbours over. You might make this a monthly event and ask each person to bring their own favourite luxurious treat. Make one night facial night, one night for pedicures. Host this yourself or have an esthetician to animate the event. Either way you will have fun. Pool party: Plan this party by booking your indoor pool area and the party room. The format could be a potluck brunch for you and your friends or an international potluck dinner and pool party for the entire building. Summer is the time to have fun, so if you do not have a pool in your condo complex, plan a condo summer party to take advantage of the party room and common areas. Begin with drinks in the garden area and then move indoors for serious eating. Out of town guests: Host a weekend for out-of-town guests. We have a beautiful city with many unique venues, so invite longtime friends or relatives and treat them to a grand tour of Ottawa. This may motivate you to visit those places on your to-do list that you just never got around to. It will also motivate you to organize your condo as there is nothing better than having a house guest to get your house in order.